Huh. Dundon making some waves again with some of his remarks. Says so long as he's there the team will never draft defense in the first round. Now...whether that means he'll never draft a defenseman or if he just means he won't allow the team to draft two-way or defensive-minded players (which I would then agree with) I'm not sure. White sweaters at home is one of my old man yelling at clouds opinions. Bring back home white sweaters. I miss being able to take a quick look at sports highlights and knowing where they are are playing. But reality is coloured uni's sell better and fans want to where them to games so its a money issue. 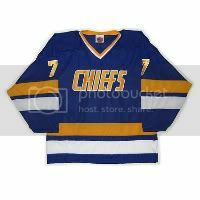 The league claims it was a cost-cutting measure because the rise of third jerseys was prompting other teams to have to lug around extras on road trips. I'd rather see whites at home (the Avs IMO have a better white jersey than they do a colored one) but I can see why they made the change. AHL interestingly has no set rule when it comes to what a team wears on the road vs. home. Some have suggested teams go with color vs. color, though there could be some hurdles to clear with color blind players like Tyson Jost. I'd think it would be super-easy with a team like the Preds who use gold jerseys. If any team should ditch their whites, it's them. I would kinda like that as you see teams like the Dallas Cowboys wear their whites all the time, apparently they HATE wearing their blues and so teams (like their arch rivals, the Washington Racist-Names) don their whites at home to force them to wear a color they don't want. I would TOTALLY do that with the Canes. Scott Darling, who isn't doing much better in the AHL than he was in the NHL, requests a leave of absence from hockey. I love the victory celebrations. Don Cherry is a dumbass again. I take double pleasure in seeing the Canes win at home and celebrate because 1. It's awesome but also 2. Every uptight old-school waste of skin gets soooooo enraged about it. It's kinda hilarious. 1 point behind the Pens. Back from the dead. Everybody's talking about them now. Anyone who upends the boring status quo is alright with me. wow I just noticed who the moderator is for this forum......I can barely recall the guy. Ah, Chuck. He is missed. Bet he's happy now that the Canes have possibly their first homegrown superstar in possibly forever. Hope contract negotiations with Aho go better than they did with Lindholm. *Harry Nilsson voice* "Everybody's talking about them"
Bettman and Daly were in Raleigh, of all places, last night. Really goes to show that winning changes everything. This is a great market, but a decade outside the playoffs and an absentee semi-retired owner kept people away.